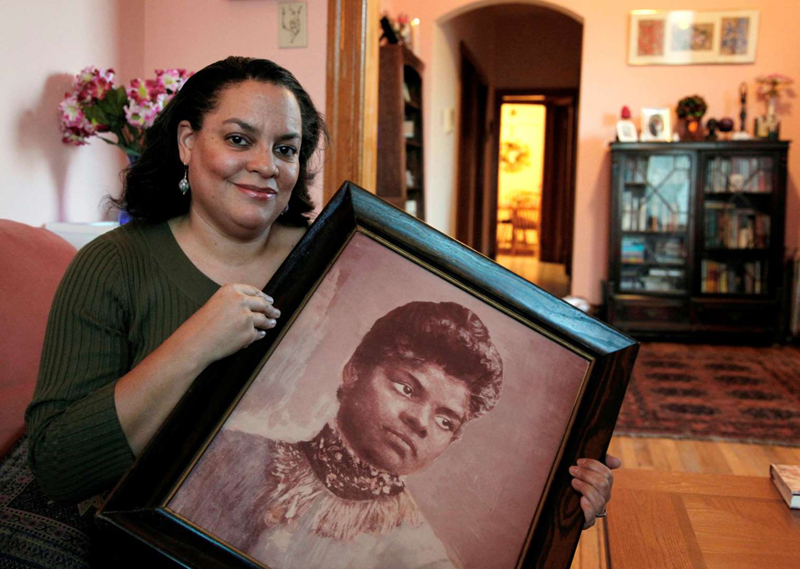 Ida B. Wells-Barnett was an African American newspaper reporter and civil rights crusader. She spent most of her journalism career fighting against the unjust treatment of African Americans. Wells-Barnett was born on July 16, 1862. Her parents strongly believed in education. When they died in 1878, Ida cared for her five younger siblings and worked as a teacher, By 1889, she had written for and edited several publications. Wells-Barnett quickly became the editor and part-owner of the black weekly newspaper Free Speech and Headlight in Memphis, Tennessee. Then, in 1892, something occurred that changed her life. It happened one evening in early March, in a district outside Memphis known as the Curve. There was a confrontation between a white grocery store owner and his supporters and African American grocers Thomas Moss, Henry Stewart, and Calvin McDowell and several of their supporters. The three African Americans were owners of the successful People’s Grocery. They were arrested and charged with starting a riot. Several nights later, a band of vigilantes took the three businessmen out of jail and killed them. At risk to her own life. Wells-Barnett decided to “use the media to bring the issue out into the open.” She wrote editorials in Free Speech about the killings. Wells-Barnett charged that the “riot” was the fault of the white grocer. He had had a monopoly on the grocery business in the Curve until the People’s Grocery had opened. She also criticized those in charge of keeping the three prisoners safe until their case went to trial. Wells-Barnett encouraged African Americans to fight back. She suggested they boycott businesses and leave town. Persuaded by her editorials, thousands of African Americans left Memphis to start new lives in the West and North. A mob destroyed the offices and print shop of her newspaper after the editorials were printed. Threats to her life and safety did not stop Ida Wells-Barnett, however. She continued to write editorials and speak out about the unjust treatment of African Americans until she died in 1931.